UC Walks is a Systemwide WellBeing Initiative program that is coordinated by the wellness programs at each campus and health system. UC Walks promotes wellness and an active lifestyle by encouraging faculty, staff and retirees to take time out of their day to walk. The event also builds community and campus spirit throughout the UC system. 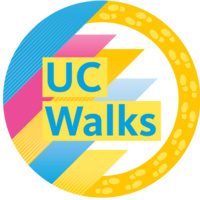 More than 6,926 people across the system participated in UC Walks last year, collectively covering more than 10,372 miles.